The Casino Vendramin Calergi of Venice is a real palace that welcomes you every day of the week in its sumptuous gaming rooms. Clients can even come by gondola! You will have the possibility to play with 300 slot machines if you like electronic games. You may be the next to hit the 100 000$ jackpot! Traditional table games will attract fans with a large choice of games. 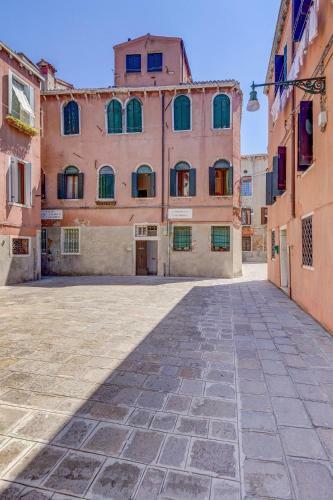 A suitable wearing and a valid ID are required to get into the gambling house Vendramin Calergi of Venice. Unique and fascinating, the famous Italian city Venice will charm you. The city abounds with political, religious, economic and cultural infrastructures as a consequence of being the ancient capital of the Republic of Venice. You could see numerous palaces like the sumptuous Ca’ d’Oro built during the 15th century, churches, basilicas, cathedrals, but also theaters, cinemas, museums, parks and gardens where you could enjoy the charm of Italian tradition. You could discover the places known worldwide like the famous St Mark's Square, and do some shopping while admiring architectural marvels. "Small casino in beautiful building"
"No admission. No craic. No animals. No Irish..."